What makes your services different from hiring other Organizers to come help my child? The 2 of us have spent years researching the cultural shifts associated with going to school for this generation of students as well as educating ourselves on brain function, learning styles, learning differences, and other related topics. By coming into the child’s home, getting to know him/her through our thorough assessment process and then customizing organizational solutions based on that particular child’s strengths and innate makeup, we are setting him/her up for success over and beyond simply organizing his/her room or homework space. How do I know if my child is struggling organizationally? Some of the typical red flags include, but are not limited to: drop in grades; homework assignments that are turned in late or not at all; waiting until the last minute; the inability to plan long term projects; messy backpacks, desks and lockers; inefficient use of study time; and the overall disruption to the family’s quality of life due to stress, low self esteem, anxiety and missed deadlines. My child attends a school which provides supplies and expects all students to use the same ones. What do we do if you suggest a different planner or notebook than what the school requires? While many schools would prefer that all their students use the same supplies, we are more than happy to act as a child’s advocate in approaching the teacher(s) and explaining why we feel the child would do better with an alternative system. More times than not, it is met with understanding and acceptance once we explain our rationale. What are the benefits of doing a complete assessment versus the abbreviated one? The complete assessment allows us the opportunity to assess a child’s dominant quadrant of the brain, preferred learning style, i.e. auditory, visual or kinesthetic, degree of introversion/extroversion and more. In addition to knowing these innate strengths and qualities, we spend time communicating with that child’s team of teachers, doctors, tutors or others who are involved in helping the student. After accumulating all this additional information over and beyond speaking with the parents and becoming acquainted with their routines, family dynamics, and the child’s history, we are able to truly customize solutions that will best meet the student’s needs. What qualifications and training have you had that allows you to be qualified in this field? We are both Certified Professional Organizers, meaning we have met a stringent list of qualifications as deemed necessary to qualify by the independent Board of Certified Professionals, which includes a certain number of paid client hours and passing an exam. We also both belong to an organization called the Institute for Challenging Disorganization (ICD) which offers teleclasses on working with clients with ADD, OCD, anxiety, students, and other such specialized situations. We have each been organizing since 2003 and are passionate about adding to our knowledge base by reading books on the subject and by belonging to a NAPO Special Interest Group formed to share knowledge and information from organizers across the country who work with students. We already have a team that consists of a doctor, tutor, and therapist. Why would I need your services as well? Each of these professionals brings an area of expertise to the table that the others have not been trained in. We consider ourselves part of a team whose mission is to help the student. By bringing our organizing expertise into the equation we can add a dimension of help in an area the others do not specialize in. My child has not been diagnosed with any learning issues. Why would I need someone with your expertise to help my child? I don’t understand why organization is so challenging for my child and what is so different about school now from when I went through it? Going to school now is a vastly different experience from when many parents were students. In summary, here are some of the many changes our students face today making organization that much more challenging for them. Time is no longer viewed on analog clocks where time can be seen moving. Rather, it is a static number displayed on electronic clocks such as microwave ovens, car stereos, cell phones, computers, etc. Therefore, time has become even more of an abstract concept. The age of electronics – Most of us had a handful of TV channels to choose from and maybe an interest in music. Today kids are pulled into the world of texting, social networks, the Internet, gaming, IPODs, and such. There is more school work being loaded on to our kids. Studies have shown that our kids have more homework and projects today than we did at their age. Additionally, material is being taught to our kids at a younger age. Many of us have noted that what we learned in first grade, our children are learning in Kindergarten (reading as a prime example) and what we learned in 4th or 5th, they are learning in 2nd or 3rd. College is substantially harder to get into now and requires students to be incredibly well rounded. It is not enough to have a good report card and SAT score. Rather, “Johnny” needs to have good grades and be a good athlete, head of his class, play a musical instrument and more. So now instead of being involved in one or two extracurricular activities, “Johnny” is rarely home after school, has to learn to do homework in chunks of time versus long sittings, and sometimes on the side of a soccer field or in the car on the way to an activity. What do you mean I shouldn’t send my child to his/her room to do his/her homework? It works for my other children and that’s what I always thought was the best place to study. For some kids going to their room might as well be the same as being put in solitary confinement. For those that need to be surrounded by people or objects, this is rarely the best place for them to concentrate. The most enlightening portion of assessing a child through our complete assessment is having this kind of information available. We acknowledge that it would be easiest for parents to have the ability to send all their children up to their rooms at the same time. However, while one child may do well to do so, another needs to be near others, one may need some music playing to concentrate best, one may complete all his/her homework at one time and one may need to take frequent breaks. 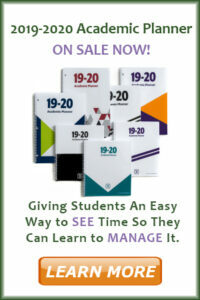 There is no one size fits all when it comes to the best way to tackle homework routines for different students!